All laptops have a special low-power mode, called Stand By mode or Sleep mode. In this mode, the computer is still on but power to certain areas is shut off. That way, you can keep the laptop ready for an extended period without wasting a lot of battery juice. Your laptop can slumber in Sleep mode for quite some time, much longer than it would otherwise stay alive when it’s turned on. The amount of time the laptop stays in Sleep mode depends on various power settings in Windows. 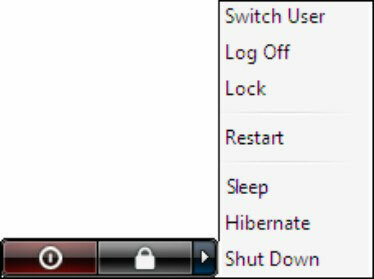 You can direct Windows to sleep for maybe 30 minutes and then have the laptop automatically turn itself off or switch into Hibernation mode. The method for putting your laptop to sleep varies, depending on whether your laptop has a sleep button and which version of Windows you’re using. Keep in mind that you should always save your work before your laptop enters Sleep mode. When your laptop is blessed with a sleep button, pressing it puts the laptop to sleep instantly. But, hang on! The sleep button’s function can be changed, so pressing that button may not always put the laptop to sleep. Click the triangle next to the Padlock icon. Choose Sleep from the pop-up menu.